'4 Dimensions of DevOps' is a webinar series demonstrating various aspects of DevOps implementation in a Digital era. 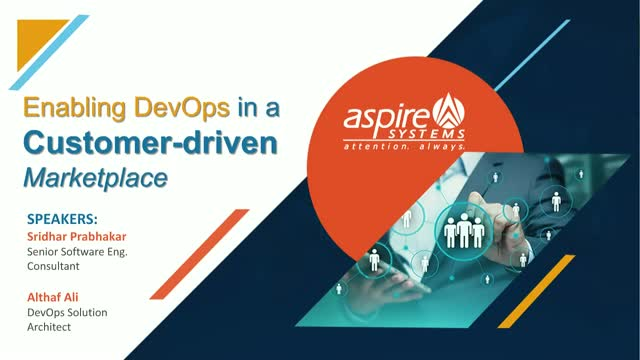 This Part 1 of the webinar series discusses a templated approach towards enabling end-to-end DevOps in a customer-driven marketplace. Any organization trying to introduce a change in their old-school processes and tools will adopt DevOps pipeline automation to enable faster and smoother software delivery. • Typical challenges in DevOps implementation processes and how to overcome them. • Industry leading tools and techniques to achieve smooth releases. • Rough estimate and ROI analysis for implementing an improved release planning. • Release planning templates that can be readily applied for typical use cases.